If you enjoy working outside, appreciate a good challenge, and like rewarding work, then this could be the job for you! Let's Build I-75 Segment 2! Work starts March 1st in Oakland County, MI. 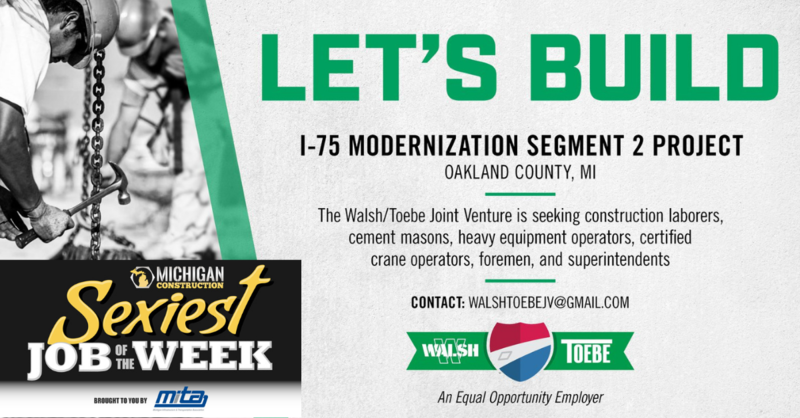 Approaching 100 years in business, Toebe Construction is an industry leader specializing in the construction and rehabilitation of bridges, high-production concrete paving, excavation, and underground work across the state. The foundation of each and every Toebe project is built upon their core values of TEAM, Integrity, Trust, and Safety. Toebe is an equal opportunity employer.